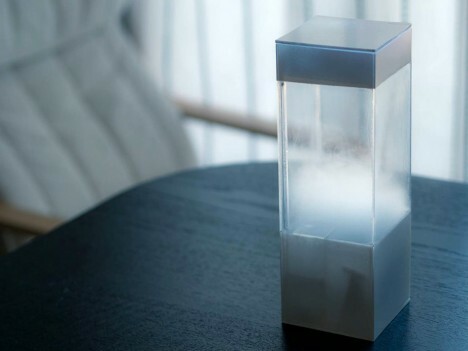 Bringing the weather right to your tabletop, this incredible box simulates sunrise, sunset, clouds, rain and even thunderstorms based on real forecasts, letting you see expected conditions in a dazzling new way. 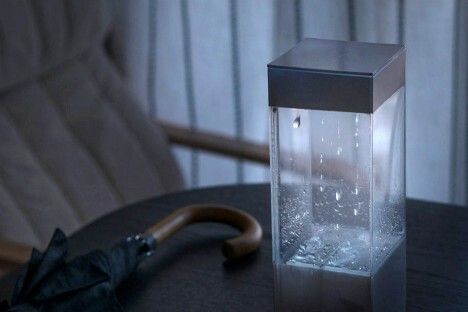 Designed by Ken Kawamoto, the Tempescope puts a world’s worth of weather right in front of you, downloading details from the internet then recreating those effects inside a clear plastic box, including sunshine, fog or even the pulsing illumination of a lightning storm (as seen in the video below). The project is open source and interested parties are welcome to download the design schematics in order to create their own, or can wait for a crowdfunding campaign later this year to buy a unit instead. The deployment is also versatile – you can select your own city and time delay, reflecting either current conditions outside or near-future forecasts for wherever you want (letting you keep in touch with weather at home or in your favorite city). See more in Home & Personal or under Gadgets. June, 2015.